Home > Photo Editing Tips > How to Edit Shadow, Spots and Stains Out of a Picture? How to Edit Shadow, Spots and Stains Out of a Picture? Capturing pictures is a common thing these days, and more and more people capture their best moments of their photos either with a camera or smartphone. With effects and software customization we can enhance the image but it is not so easy to remove stains, shadow and spots that appear in the pictures. So, will we have to there to take the picture again so as to have a perfect photo without stains? No there’s no need of doing that. There are some photo editing softwares in the market which helps to remove the shadows, spots and even stains from your pictures totally. These softwares are very handy if you need to edit those pics that are spoiled by shadows and spots. To make your life much more easier you won’t have to spent a lot of time on learning Adobe Photoshop, because we have the small and light software named Jihosoft Photo Eraser that can be used on your PC or Mac to quickly get rid off spots, stains and even shadows on your precious pictures. The Jihosoft Photo Eraser has originally been made to remove any kinds of unwanted objects, like persons, watermarks, stains, spots, and shadows from photos. With such variety of options to make your images look perfect, this is an ultimate software that comes in very handy at times, as removing stains, shadows or any spots on images can be done in seconds. Being light and compatible with Mac OS and Windows, it is the perfect one to go for especially for quick editing purposes. And anyone who seems to be using a normal PC can handle this easily. Now it may happen that in your bright looking photo, there might be a shadow of someone at the corner. Due to the shadow, generally what we do is to crop the photos in order to get rid of the shadow or spots on the picture. In this case what you should do is to turn to Jihosoft Photo eraser to recover the image and make it look as if no shadow was ever presented there at all. Sometimes old photos may get some spots or even stains due to some mistake committed by you, and if it is an important picture, then you may face nightmares totally. In this cases all you need to do is to take a digital copy of the old image and use the Jihosoft Photo Eraser to repair old damaged images by marking those damaged areas. Then magically in few minutes you will get a fully new image in front of you. How to Remove Stains, Spots and Shadows from Pictures? Step 1. 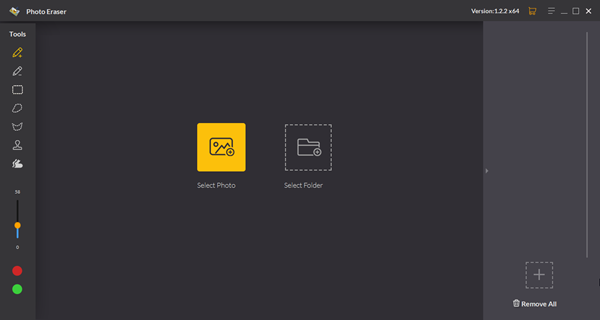 Download and install the Jihosoft Photo Eraser onto your PC. Step 2. Click the Add button to open the image which you want to edit, or you can directly drag and drop the image into the program. Step 3. Spot the areas which you want to remove and use the brush tool to mark all of them one by one. Step 4. Having selected those areas, click on the Erase button and wait for few seconds for the software processing and then automatically the unwanted things get removed. If the stain or spot or the shadow does not get completely removed, then repeat the mark-and-erase action until and they are totally removed and the image looks natural. 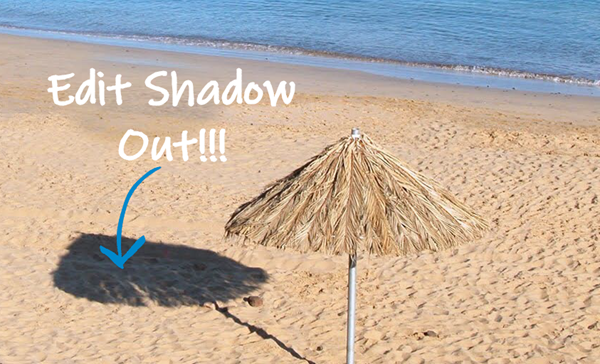 So now that you have completed removing the shadow on the photo, and you might notice how easy it is to use this software to get rid of the shadow of pictures. To remove large shadows from photos, it will be better to use the selection tools that include Rectangle Selection, Lasso Selection and Polygon Selection. Use the Zoom In and Zoom Out feature to check if there is any glitch after using the erasing feature, if you find, then Zoom in to remove the smallest glitches in the image. If your image looks a bit blur and fade, revert back and try changing the brush size smaller to make things much more accurate. 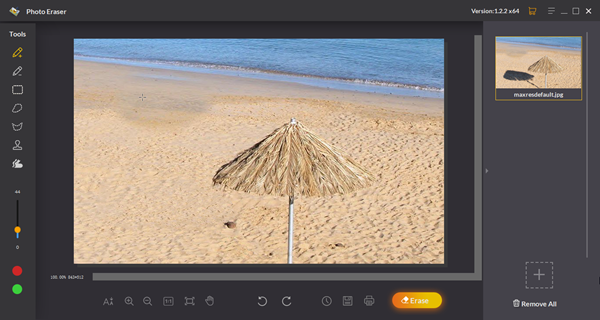 Use the Before And After feature of the program to compare the original image and the processed image to get an idea of how actually the new photo looks like. If you are not satisfied with the result, try repeating the steps above. 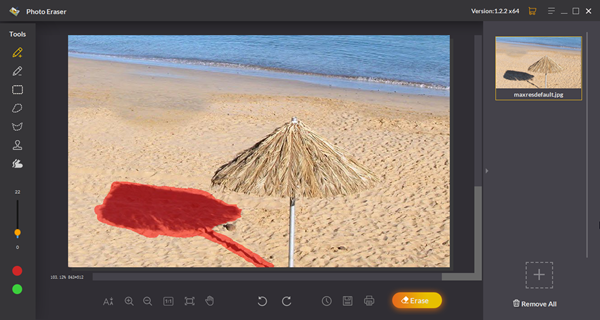 So, with a lot of flexible tools that assist you to edit the shadow, spots and stains out of the pictures, this handy tool is a must have software on your PC. Just download it and try it out. Share us your processed photos and let us know your thoughts in the comment section below. How to Make Photo Square for Instagram without Cropping?